Cherokee language study with emphasis on the Eastern dialect or the Giduwa dialect. This group is no longer active, however, the notes for the lessons still remain online. Visit the museum online and/or contact Bo Taylor for more information! http://www.lakescountryradio.com/ from 5 p.m. until 6 p.m.
Dennis Sixkiller, by phone: 918-453-5433. Listen to archives online!!! To subscribe send an e-mail to Steve Swogger with “subscribe cnan” in the subject line. Toll Free Phone: 1-800-476-6240, Asheville, N.C.
**The Cherokees of California, Inc.
“The CHC is operated by the Cherokee National Historical Society. 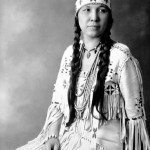 **Tahlequah, Oklahoma – Indian Territory U.S.A.
Holland, the daughter of Willard Stone, is also offered. 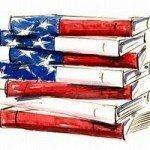 Path to more language resources! “Our purpose is to make it easy to learn the language and history. We provide well researched products priced for anyone interested in providing their generations a portion of Cherokee culture. We emphasize language and history.” Contact owner/author Prentice Robinson, a Cherokee and member of the Cherokee Nation, who has spoken the language all his life. and sound files of translations. Courtesy Cherokee Nation, OK.
Includes sound recordings. Offered by the Museum of the Cherokee Indian. *E-mail Bo Taylor for more information! and the Ph.D. in linguistics from the University of Texas at Austin in 1971. Oklahoma, presents the art work of Cherokee artists. Held annually the first week-end in August, Red Clay State Historic Park Cleveland, TN. “Art cheers, enlightens, soothes, heals and nurtures the soul. operated contact: Lori Smiley lori@ndnartgallery.com. 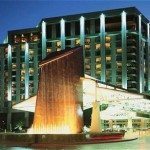 **The Cherokee Connection Mall: One Stop Shopping! Herbs, Food, Jewelry, Leather, Musical, Ornaments, Totem, Teepees, more…! the education of all people in the Native Culture, Heritage, Languages and more. Oklahoma.” Jewelry, Moccasins, Books, Cookbooks, Crafts & Just For Kids! 918-485-1616 or 1-800-854-3030 email: suseas@gte.net. convey the power inherent in all women’s contributions to history and to the future. Oklahoma tribal member, Julie Kiddie. **Cherokee Woods by Nate ~ Cherokee Nation of Oklahoma tribal member. **John Guthrie, Cherokee Nation of Oklahoma tribal member. “FairPrices, Friendly Service” says it all about how we do business. A taste of what is found on the following path! 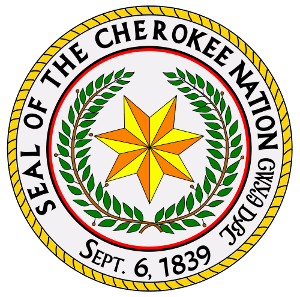 on obtaining educational material for learning the Cherokee language! “An organized effort to organize the genealogy materials on the Internet. Tribes & Nations Oklahoma Indian Territories Map! states during this time period. *Eastern Cherokee Rolls: List of with description. *Cherokee Nation of Oklahoma Rolls: List of with description. “The Mullay Roll was expressly limited by the federal government because its purpose was not to enumerate all Cherokee, or even all Cherokee in North Carolina, but only those who were eligible for certain payments.” From John R. Finger, The Eastern Band Of Cherokees 1819-1900, Univ. of Tennessee Press, 1984. Great resources from Barbara Benge! genealogists trace their Cherokee, Creek, or Seminole roots. Cherokee ancestry? 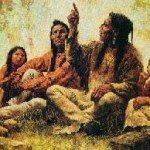 If so, Cherokee Cousins may be able to help you. “Storyteller Lawrence A. Dunmore III serves many roles within his community. *What Makes The Great Smoky Mountain Nation Park Uniqui? Denver Public Libraries most requested images! *Search for: The “John Ross House” near Chattanooga. 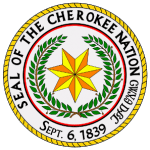 *Search for: Cherokee Nation; It’s capitol, rulers, & public institutions. *Welcome to LASR’s Oklahoma Homepage. J. B. Milam Memorial Marker ~ J. Bartley Milam, Principal Chief of the Cherokees. “Excellent stageplays for children, young audiences and families. Open 365 Days a Year: 8 a.m.-5 p.m.
Nine galleries. Three theaters. Interactive television. Territory, an area of land that later would become known as Oklahoma. Will’s father, Clem Rogers, was a sucessful rancher, cattleman and banker. *Brigadier General Stand Watie, C.S.A. *Brigadier General Richard M. Gano, C.S.A. (present-day Oklahoma) under the Removal Act of 1830. “These images were originally scanned at 3000dpi from microfilm.